I love everything Marc by Marc Jacobs. I mean EVERYTHING. But I especially love my aviator sunglasses. They're chic, they're iconic, they just make every outfit look better. And guess what? You have the chance to win a pair today -- specifically, the Marc by Marc Jacobs Metal Aviator Sunglasses in Red Gold! One winner will receive these sunglasses, which retail for $98. Here's how to enter. 2) Like The Beauty of Life on Facebook and leave a comment on the Facebook post about this giveaway telling me why you want to win this pair of sunglasses. 4) Follow me on Instagram and like my photo of the Marc by Marc Jacobs sunglasses. This giveaway ends on Wednesday, December 19 at midnight. One winner will be chosen AT RANDOM on Thursday, December 20. Maximum of THREE ENTRIES (one for each way listed above). Multiple entries will be disqualified. Giveaway is open to US residents only. Commented on your FB post & tweeted! Also following on Instagram and liked the photo. Commented on facebook, tweeted @kelliechio, following on instagram, @kelliechio Thanks..love them!! Who doesn't love Marc Jacobs? This would be a great addition to my collection. Love it. Commented, tweeted and liked your instagram. Happy Holidays! I have always wanted a pair of MJ aviators! Oh my gosh! I adore Marc Jacobs' designs. I would love to win this gift by Marc Jacobs! Would love a pair of aviator sunglasses! I need some new sunnies and what could beat a pair of new Marc Jacobs? Just wonderful sunglasses! Would love to make them mine! katie at buildinglover dot com. 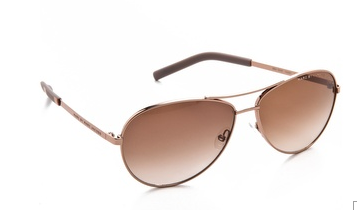 Wishing for some Marc Jacobs aviators! Thank you!!! Thank you so much for offering such lovely and generous giveaways. These are such a classic style. I love them! My dad was a pilot and I always envied his cool shades. They'd remind me of him! I would love to add this sunglasses into my style, thank you for the giveaway. These would look perfect with my new rose gold necklace. These glasses always look so good on my face, love the style.